Renowned as being the land of meat, Texas has a hard-earned reputation for producing some of the best steaks in the world – enough to send any vegetarian running for the hills. However, Houston has a burgeoning vegetarian scene catering to those who prefer broccoli to beef with a wealth of excellent eateries that will satisfy even the hardiest vegan. From all-raw falafels to vegan baked goods, Houston has loads of innovative meat-free menu-fillers around town. Baba Yega Café is a laid-back eatery serves delicious and diverse vegetarian and vegan dishes complete with gluten-friendly options accompanied by an excellent selection of beer and wine. All food is prepared daily using fresh, locally sourced ingredients and offered for breakfast, brunch, and lunch seven days of the week. A fantastic buffet-style lunch is provided on Thursday and Fridays, and Sundays see the restaurant packed with diners enjoying one of the city’s best brunches. Field of Greens is a casual, counter-serve restaurant that serves an array of vegetarian and vegan dishes, including raw and macrobiotic items, in a relaxed, laid-back setting. 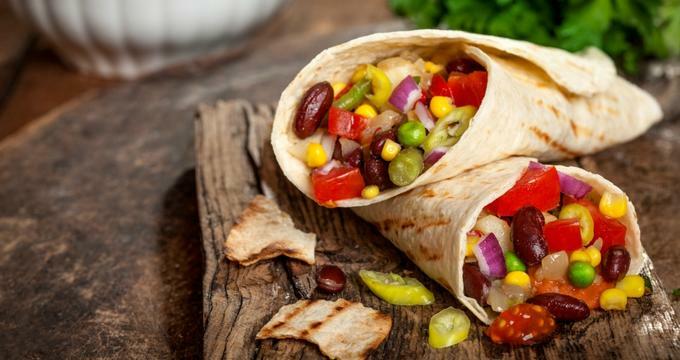 The meat-free menu includes a few fish dishes and offers a broad range of organic plates, including six different kinds of veggie burgers, green bean hummus wraps, and raw vegetable rainbow plates. Unique signature dishes include a meatless BBQ chicken salad and a hearty eggplant parmesan. 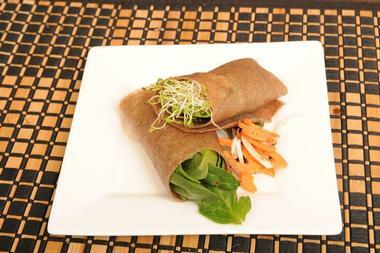 Friendly, knowledgeable staff are on hand to explain the intricacies of micro and macrobiotic foods and raw foods. Garden Kitchen is a health-conscious eatery based in the Montgomery Heart & Wellness Center that serves plant-based and raw food. Born from the from the practice of cardiologist Dr. Baxter Montgomery, Garden Kitchen offers a variety of whole, live, plant-based smoothies, snacks, entrées, and desserts that are 100% organic and natural. 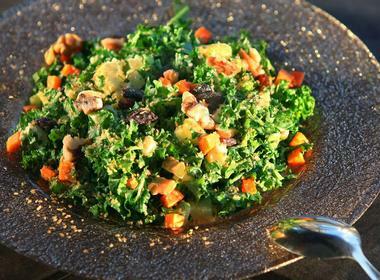 Dishes range from appetizers of cauliflower nuggets and sesame seed pate to entrées of sprouted sunflower beet burgers, tahini spinach wraps, gluten-free, raw garden pizzas. Other items on the menu include freshly prepared salads, homemade soups, superfood smoothies, and decadent (sugar-free) sweet treats. 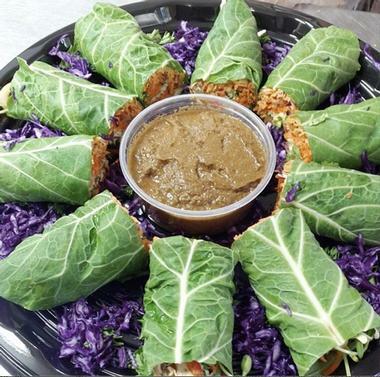 Green Vegetarian Cuisine’s mission is to serve delicious vegetarian comfort food in a friendly and inviting setting, and the San Antonio import does just this. The eatery offers a robust menu of vegetarian, vegan, and kosher dishes, ranging from avocado eggs Benedict smothered in chipotle hollandaise, spinach and mushroom enchiladas stacked with chia seed brown rice and refried beans, and falafel bowls with quinoa tabbouleh. End with something sweet from the dessert menu such as 100% vegan cupcakes or a superfood smoothie of spinach, banana, and orange juice. 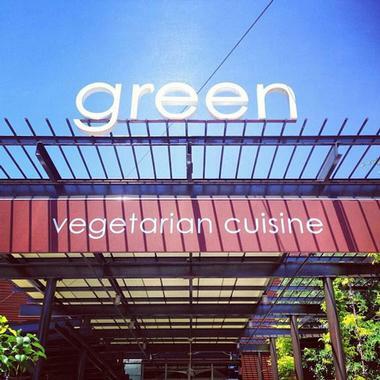 Green Vegetarian Cuisine is open for lunch and dinner during the week and brunch on Sundays. 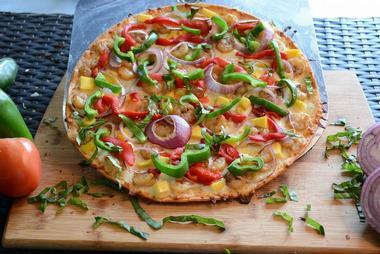 Healthy Cow Pizza offers a new take on a regular pizza joint with a variety of healthy options for vegetarians and vegans. Combining America’s traditional love of great pizza with healthier choices, Healthy Cow Pizza offers an array of mouthwatering choices such as vegan, gluten-free, vegetarian and more, along with fresh salads, homemade pasta dishes, and oven-baked sandwiches. Signature toppings include light agave nectar with sliced pears, shrimp and white wine sauce, and walnuts and pecans, to name but a few. Gourmet pizzas are accompanied by a selection of beers and wine from the wine list as well as sodas and soft drinks. Set on Richmond Avenue, Pepper Tree is an Asian fusion eatery restaurant that serves an entirely vegan menu of delicious vegetarian and vegan cuisine in a modern, yet soothing ambiance. This local veggie-first haunt offers a menu of tasty dishes made with fresh, locally sourced ingredients and prepared on site daily, ranging from moo shu vegetable wraps and kung pao tofu to a hot vegan chicken curry. 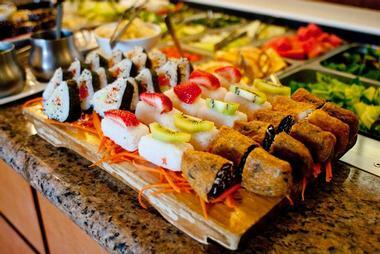 An epic buffet is served at lunchtime boasting a variety of cuisine from Chinese and Thai to Vietnamese and Western dishes. You’ll find crispy salads, homemade soups, hearty entrées, and sweet desserts – think classic miso soup, chilled silken tofu, vegan sushi, and house-made coconut cake. Try the de-chlorinated, triple-distilled alkaline clustered water for an extra health kick. Pine Forest Garden is a Chinese restaurant offering delicious buffet lunches piled high with vegetarian dishes in a minimalist environment. This Chinatown favorite serves an array of classic dishes along with unusual vegetarian counterparts such as Kung Pao chicken, duck kidneys, and shark fin soup, all of which have been turned into vegetarian equivalents. Pine Forest Gardens does not serve alcohol, but there are plenty of non-alcoholic beverages to choose from, and the restaurant is open for lunch and dinner, Monday through Saturday. 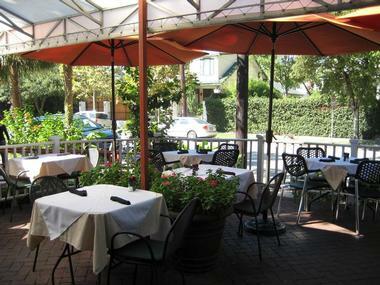 Established in 2008, Ruggles Green was the first certified Green Restaurant™ to open in Houston. The restaurant grew in leaps and bounds to open in three more locations and today is one of the city’s most popular spots to go for fresh, delicious vegetarian and vegan cuisine. 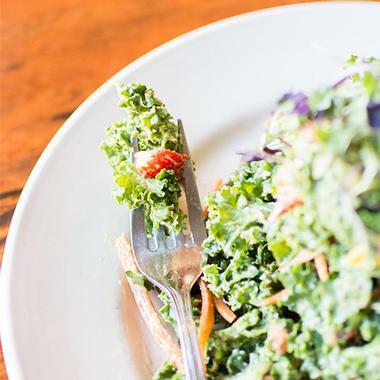 Ruggles Green takes pride in being the leaders in offering an unrivaled fast casual dining experience with freshly prepared cuisine made from locally sourced, organic ingredients. The extensive menu offers an array of choices from appetizers, salads, and soups to hearty entrées, sandwiches, burgers and paninis, and decadent desserts. Signature items on the menu include the Wood-Fired Quinoa Mac & Cheese, the Veggie-Nut Hemp Burger, and honey-fried goat cheese and arugula salad. Several organic wines are available to accompany the cuisine. Located in the Third Ward, the Doshi House began life as an art gallery and slowly grew into the bustling, inviting café-style eatery it is today. This beloved café boasts a menu of mouthwatering globally-inspired vegan eats such as creamy garlic and mushroom soup, Creole-style red beans and rice, vegetarian curried potato, and cheese panini. In addition to hearty entrées, the menu also features homemade soups, freshly prepared salads, paninis, superfood smoothies, cold-pressed juices, locally roasted coffee, and full leaf teas. 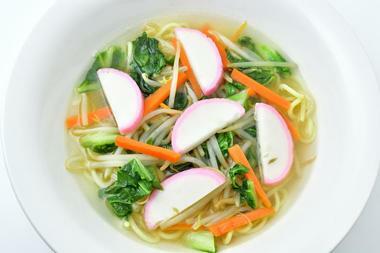 The Doshi House is open for lunch and dinner Monday through Saturday.